Volume 1 features over 2000 phat beats from kicks to snares, percussion, cymbals, miscellaneous sound effects, hi hats, toms, bass drums and so much more!! 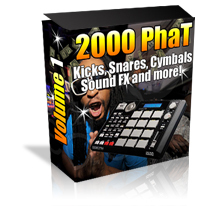 OVER 2000 sounds for one low price! Click here is a list of whats inside Volume 1! Make sure you click RETURN TO MERCHANT after you purchase, to get your passwords. Volume 2 features over 1300 phat drum kicks, from hard kicks, to trance, reverb, ghetto, bassdrum kicks and so much more!! OVER 1300 samples for one low price! Perfect if you want a kit that focuses on all the phat kicks ever produced in one library! Over 1300 16 bit - 44.1k Drum Kicks, very high quality. Click here is a list of whats inside Volume 2! 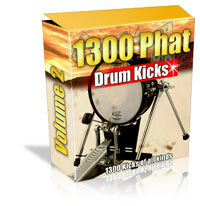 Volume 3 features 815 PHAT Loops and 550 megs of phat drum sounds!! Loops from the legendary drum machines, Rythm and Blues Loops, Slow Acoustic Drum Loops, Funky Breaks, BFA Rush Drum Loops, Ambient Studio Drums, Brian Daly Rock Beats, Hip Hop Philosophy Loops, Slick Drum, Slow Ludwig Kit, Street Beats, Twisted Trip Hop, Westside Underground, Zero-G Hip Hop Loops and much more! 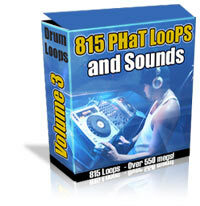 Over 815 16 bit - 44.1k Drum loops, very high quality. Click here is a list of whats inside Volume 3! More drums, more sounds, more value. 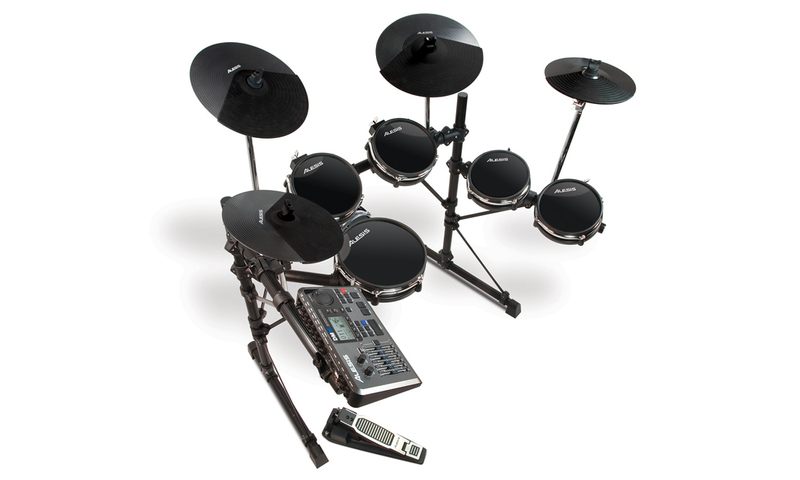 The DM10 Studio Kit is professional, six-piece electronic drum set with natural-feeling RealHead drum pads, low-noise DMPad Cymbals, the groundbreaking DM10 drum module, and a compact, flexible StealthRack. AJK Percussion Synth, Akai XR-10, Akai Linndrum, Akai MPC-60, Alesis HR-16, Alesis SR-16, Boss DR-110, Boss DR-220, Boss DR-55, Boss DR-550, Casio RZ-1, Casio SK-1, Casio VL-1, Doepfer MS-404, Emu Drumulator, Emu Modular, Emu SP12, Korg DDM110, Korg KPR-77, Korg KR-55, Korg KRZ, Korg M1, Korg Minipops, Korg Poly-800, Korg T3, Linn 9000, Linn LinnDrum, MFB-512, Moog Concertmate MG-1, Oberheim DMX, Rhodes Polaris, Rhythm-Ace, Roland CompuRhythm 1000, Roland CompuRhythm 8000, Roland CompuRhythm-78, Roland D-110, Roland D-70, Roland Digital Drum Brain DDR-30, Roland JD-990, Roland MC-202, Roland MC-303, Roland MT-32, Roland R8, Roland S50, Roland SH-09, Roland System-100, Roland TR-505, Roland TR-606, Roland TR-626, Roland TR-707, Roland TR-727, Roland TR-808, Roland TR-909, Sakata DPM-48, Sequential Circuits Drumtraks, Sequential Circuits TOM, Serge Modular, Simmons SDS-400, Simmons SDS-5, Sound Master, Memory Rhythm SR-88, Univox Microrhythmer-12, Visco SpaceDrum, X Drum LM8953, Yamaha RM 50, Yamaha RX-21, Yamaha RX-5, Yamaha RY-30, Yamaha TG-33 !! Start Making the hot ish now Drumsoundz.com vol 1 kicks snares and hats is jam packed with all the thumps and snaps to make your hip hop production sound tight with TONS of kicks and snares you'll be a step ahead of the competition. All samples are 16 bit 44.1k and in standard wave format we have done the digging in the crates and chopping for you of course you can chop them even more with a wave editor if you like with DRUMSOUNDZ.COM you'll be sounding like the pros have your tracks sounding like todays hottest artists still not convinced then listen to our mp3 sample now! WAIT! you thought we were done. Buy our software right now and you will be downloading in minutes, all these samples of clean drums, perfect for hip hop productions. Don't you hate having to wait weeks for the disks to be shipped! Not at drumsoundz.com, our convenient downloadable system will have you making bangers now! Don't hesitate place your order today!